Increase in education spending without any increase in accountability will be disastrous. Eliminating parent co-pay for tuition will weaken competition and weaken parental control. Forbidding funding of for-profit schools will cut off the powerful incentives of the profit motive, and paying for all this with taxes on new research and other capital investment will be bad for growth. “Ms. 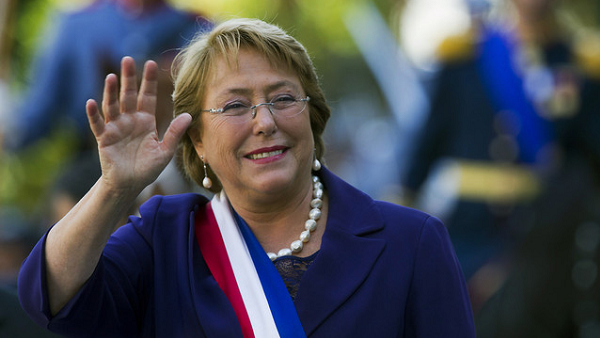 Bachelet’s government has said it would pay for the education overhaul through a controversial tax reform that will increase the tax haul by three percentage points of gross domestic product, or about $8.2 billion annually. “The reform includes eliminating a tax exemption for businesses that reinvest profits, known as the FUT, and gradually increasing the corporate tax rate to 25% by 2017 from the current rate of 20%.